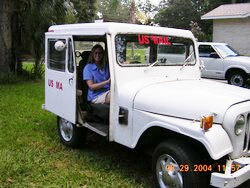 1974 Postal Jeep runs well, in-line 3.8/ 6 cyl. engine.. Brand new tires, recent tune-up. Southern vehicle-- body not rusted out (little surface rust)! 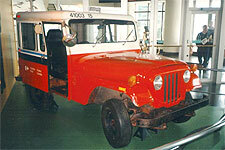 1969 Postal Jeep. 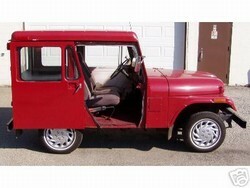 One of a kind completely re-built Jeep.Completely insulated and carpeted, 2 seats,mail tray -re-built motor, new tires, new exhaust,new master cylinder,new wheel cylinders,painted burgundy.NO RUST at all...excellent condition. Nicknamed PEPPY!! 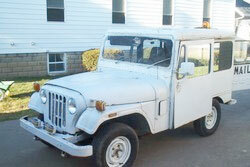 1975 DJ5 Postal Jeep, Color white, body in good condition with little or no rust. Tires good. New electronic ignition. 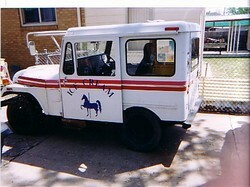 Uses no oil, transmission strong, but looses a little oil. 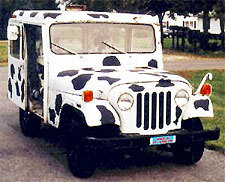 Runs and drives good.